Opinion: And there you go. 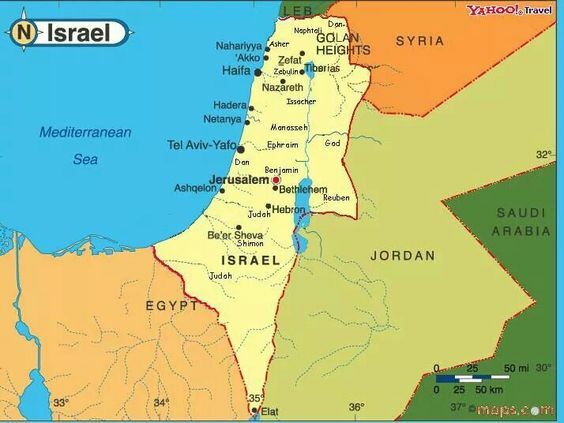 The head Edomite knows, as did his predecessor Yasser Arafat, that Jordan was carved out of the land designated as a home for Jewish people to make a home for Arab people, except of course he can’t say the name Israel, because that would be like saying Jacob, Genesis 35:10. … and there has not been 1 day of peace or security, because the enmity that Esau’s blood descendants have for Jacob’s blood descendants is so old that the details have been conveniently forgotten by most everyone, except for Jesus Himself. I will come back to that in a minute. 1917: Britain signed the Balfour Declaration that committed Britain to establish a national home for the Jewish people in Palestine. 1922: The League of Nations awards Britain mandates over Palestine and Iraq. Britain awards the entire land of Palestine (both sides of the Jordan River) to the Jewish people. Britain bowed to pressure from the displaced Arab peoples and cut out 32,460 sq. miles, or 78% of the original land grant, to establish a home for the Arab peoples (two state solution) in Jordan. Two nations are in your womb (Genesis 25:23). God intended for Jacob, the younger twin, to receive the land of the covenant (Genesis 17:7-8) He made with his grandfather Abraham, and his father Isaac. Esau was told he would live away from the covenant land and would live by his sword (Genesis 27:29-30 ). Nowhere in the Bible has any man been treated so harshly by God (Malachi 1:2-3 NIV) (Romans 9:13-16) as Esau. No nation or religion claims Esau as their patriarch, but he is present in the West Bank today. Traveling in the greatness of His strength? Author: Nicely said….Again! Authors Joan Peters and Ramon Bennett clearly describe the Palestinian myth and the ongoing reuse by the Arab/Muslim world to cover the truth!